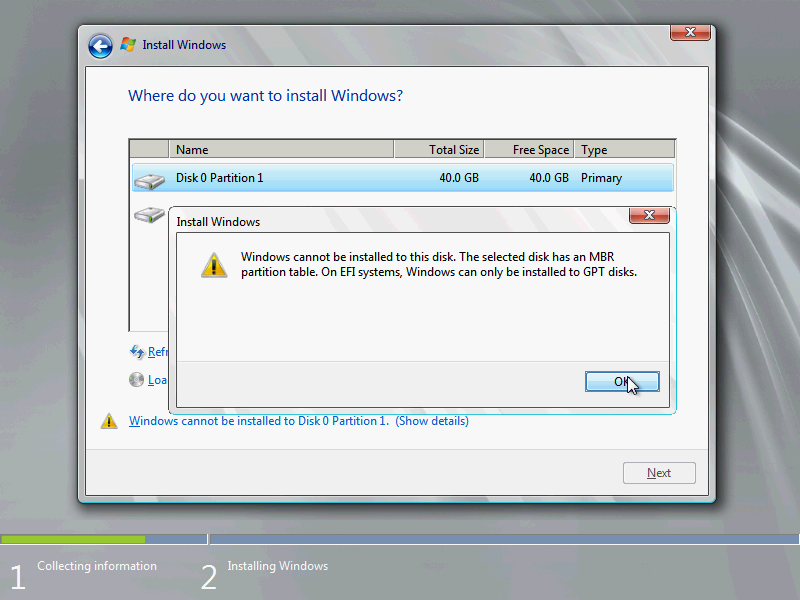 How to downgrade pre-installed Windows 8 to Windows 7? I bought a laptop about 4 years ago. 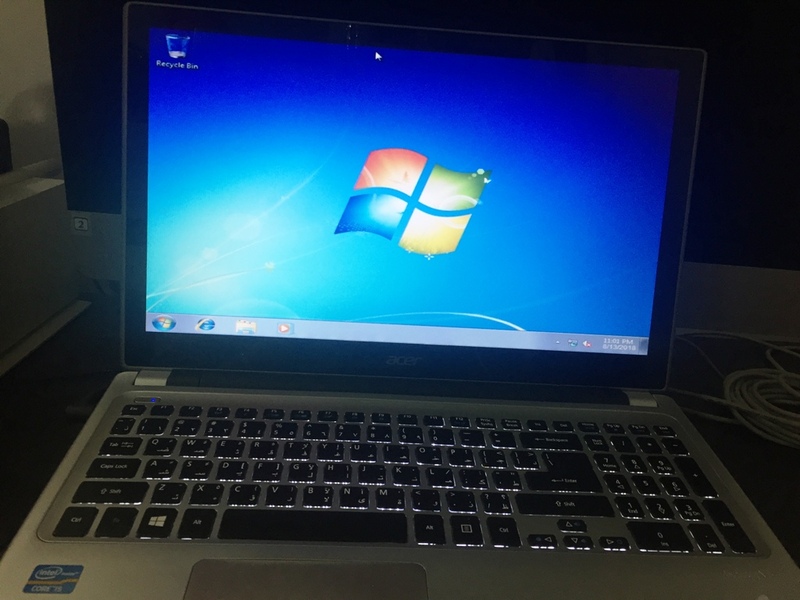 Acer Aspire V5 with pre installed windows 8.
which is running on windows 7 and is not compatible with windows 8 and up. I want to install the software in my laptop so that I can work at home. So I decided to reformat my laptop and install windows 7 since I have the CD. 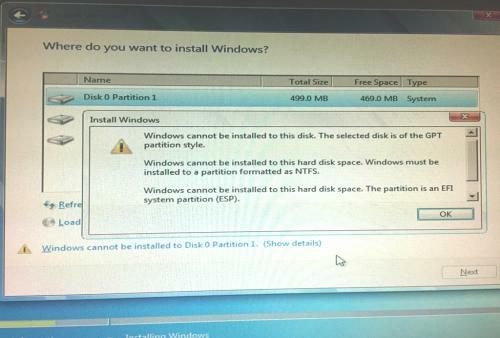 I encountered a problem like change from uefi boot to legacy. I'm not techie person, I don't understand these. 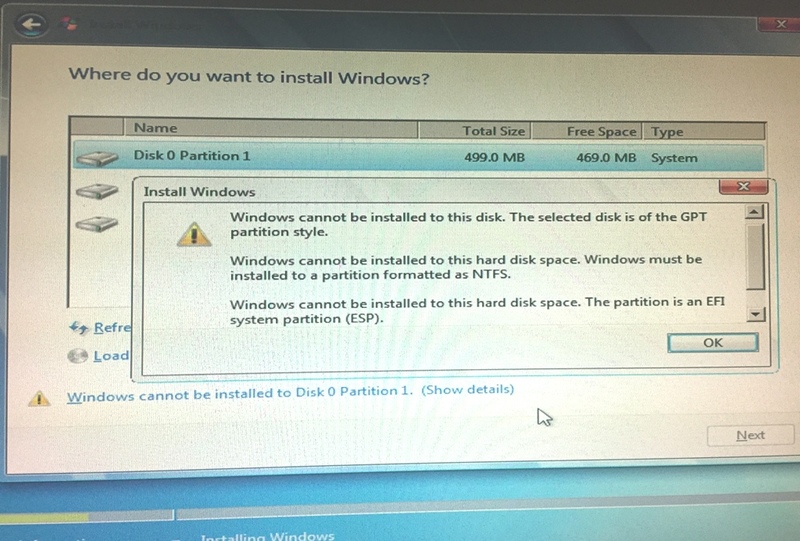 Your screenshot suggests that the HDD has not yet been formatted, if wanting to do a clean install of Windows 7 on the HDD you need to wipe the entire HDD and then when installing Windows 7 create a new partition of between 150 and 200GB just for Windows 7. For computers that have UEFI as opposed to legacy BIOS, to disable secure boot and change UEFI to CSM Boot, not all computers and BIOS are the same, please refer to your user manual if you have one as the following steps are only one such example. Edit to add: Some info on formatting a HDD here before proceeding with any format, be sure that it is what you definitely want to do and that the Windows media that you have for the clean install is all good, a genuine Windows install disk is for example likely to install without issue whereas a burned copy/ISO may not. I will update you about the status soon. Completely shut down your computer. With Boot Mode highlighted, press Enter, and then use the down arrow to select Legacy BIOS. Press F10, and select Yes to save the change and exit the BIOS. @phillpower2, thanks, I was able to find that boot sequence but I did not touch it just yet. Sorry I will correct myself. When I post this, I was at the office and I don't have the screen shot, I just search a screen shot from google thinking they are all the same. My mistake, sorry. Below is the real screen shot with the problem which I eventually will face "if I want, if not too much complicated or will not mess my laptop". Thanks and again sorry for the first screen shot. No problem as no harm done. No need to elaborate on the contents of your actual screenshot as your plans will erase the partitions that are presently on the HDD. Please note that before proceeding you must have a valid Windows 7 licence key that is not or if an OEM licence has not already been in use on another computer and you should check that your Windows 7 installation media is good. It works. Thanks so much and also to Rkinner. I was able to install windows 7. Thank you for the fast and reliable replies. That's funny how many of us trying to downgrade it.